Marie H. Johnson, 94, of Marlborough, widow of Joseph Johnson, died peacefully at Marlborough Health Care on Wednesday Feb. 6th. 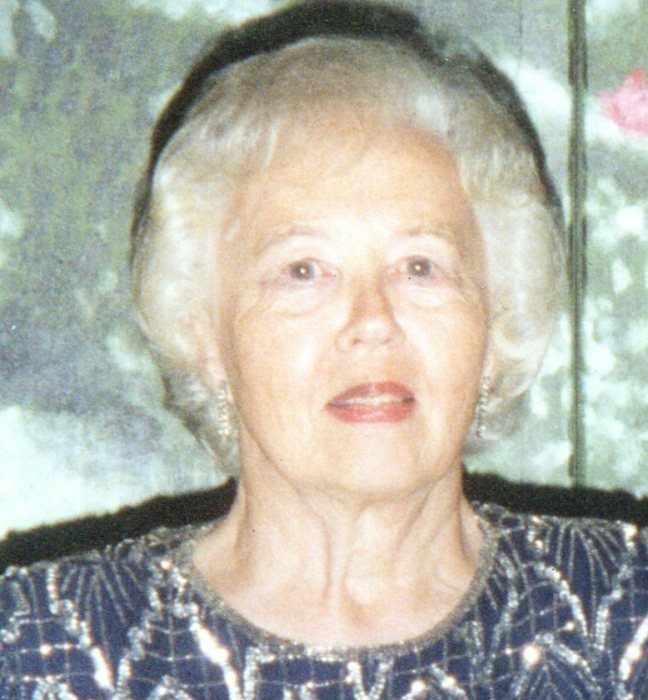 Born March 25, 1924 in Middletown, she was the daughter of the late John and Josephine (Loos) Hartinger. Marie was retired from Liberty Bank where she worked in Hartford and then in the Marlborough branch. Marie was active in the Marlborough Park and Rec Department for many years. She is survived by a daughter Sandra Johnson, three sisters Janet Marchand and husband Donat of Greenwich, Anna Hecht of East Hampton, and Elizabeth Wolstenholme and husband Roy of Salem. A Memorial service will be held Saturday Feb. 16th at 11:00AM in the Spencer Funeral Home 112 Main St. East Hampton. Friends may call at the funeral home on Saturday from 9:30 AM until 11:00 AM. In lieu of flowers memorial donations may be made to Marlborough Parks and Recreation Department 26 North Main St. Marlborough, CT 06447.